I’m willing to bet you haven’t heard of this hidden gem in the heart of Dartmouth. At first, it didn’t seem like much to write home about… We started our trek at the nearby Jason MacCullough/Pinehill Lookoff Park. Dallas wasn’t too impressed with this small, decidedly dog un-friendly space. But there wasn’t much at the top besides an okay view of the Bedford Basin. Next, we headed for the main event: Cyril Smith Park (aka Albro Lake Park). It took us a few minutes to find the trailhead (it’s tucked away in the back corner of the parking lot at John MacNeil Elementary School). But once we found it, we hit our stride. The trail – which alternates between crushed gravel and boardwalk and hugs the shore of Albro Lake – gave us a lot more than we bargained for. It just seemed to keep going. There were lots of places for Dal to get in the water, and for the most part, we had the trail to ourselves. We eventually reached Albro Lake Beach, and we kept walking until we had reached the other side of the lake. 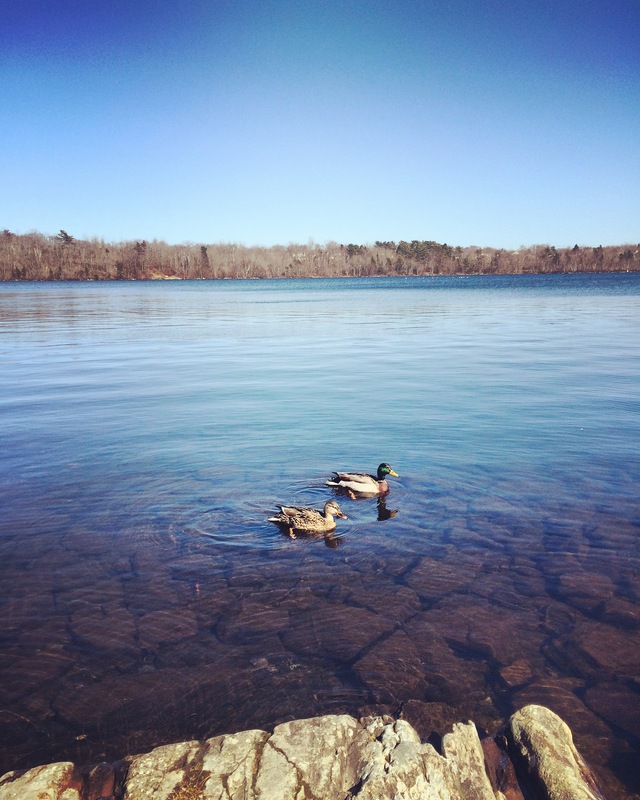 Because there isn’t a good fetch spot or an off-leash area, Cyril Smith Park doesn’t make it onto our “favourites list”, but it’s a nice option for a lakeside stroll or when you’re simply looking for a change of scenery. If you want to check it out, you can get the directions here.